IRON COMPANY® realizes that more and more people today are demanding American made gym equipment that they can put in their homes, studios, clubs and schools. Buying American Made not only makes us feel good, but ensures us that we are purchasing quality, as well. 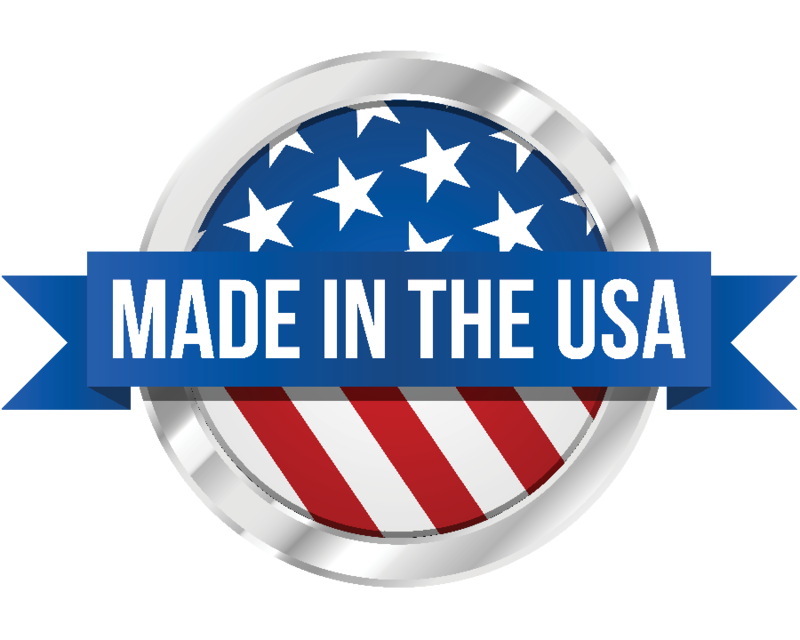 So take a peek inside our USA Made exercise equipment pages today and find the many ways you can help support your own country's manufacturing industry while buying quality fitness equipment that will outlast all the rest. We offer a huge selection of USA Made exercise equipment which qualifies for GSA contracted purchases, GSA open market solicitations and CMAS fitness equipment purchases. In this section of the Ironcompany.com website you have easy access to USA Made bars, USA Made barbells, USA Made treadmills, USA Made elliptical trainers, USA Made exercise bikes, USA Made dumbbells, USA Made kettlebells, USA Made rubber gym flooring, USA Made Olympic plates, USA Made strength equipment and USA Made fitness equipment accessories. Government and military buyers should bookmark this page for all their GPC and IMPAC purchase card spending needs! Feel free to use our banner for your "American Made" site. Look for the stamp when buying USA Made. If you do not see the stamp, ask before you buy.